The Google Doodle is actually older than Google itself…technically. The first Doodle emerged 15 years ago, back in 1998, before the incorporation of the company, and consisted of a simple stick man behind the second “o” to acknowledge that Google founders Larry and Sergey were attending Burning Man that year. From this humble, anecdotal beginning the Google Doodle has grown into an entity of its own right, increasing in complexity, creativity and interactivity. The Doodles that grace the homepage of Google are now predominantly used to commemorate important dates in history, or holidays and they vary from country to country. The popularity of these Doodles has grown and grown since their inception, to the extent that they now require a dedicated team at Google, the Doodlers. They have evolved from simple variants of the Google logo, to highly complex games that usually sap the first 15 minutes of the working day! Everyone has their own favourite Google Doodles, for me, it has to be the Doodles that emerged during the Olympic Games in London last year. They provided daily amusement in the office, not to mention strong competition amongst colleagues; my event was the hurdles! I also really like the Claude Debussy Doodle that celebrated the composer’s 151st Birthday with a simple parallax animation set to Clair de Lune. What’s great is that you can go back and relive those moments and revisit any that you may have missed. 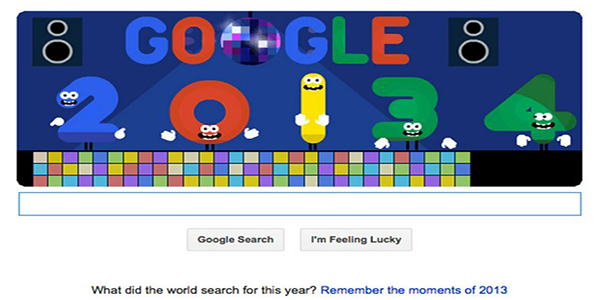 There have been over 1000 Google Doodles over the last 15 years, each one original and creative. I would certainly be remiss not to mention the Doodle that has appeared on our Google hompages today to recognise the 50th Anniversary of Doctor Who. This special Doodle is the result of the dedication and skill of just five individuals, lead by Matthew Cruickshank, who was responsible for the visual theme of the Doodle. You can read an interview with him here. If you haven’t seen it yet, get yourself to Google now and give it a go. It beautifully captures the essence of the series, and certainly does it justice, as you visit different eras collecting the letters of the Google Logo, while avoiding the Daleks. A visually pleasing platform game in itself, today’s Doodle beautifully demonstrates the evolution of this gimmick, and how it has grown from what was essentially an inside joke, to a global phenomenon.